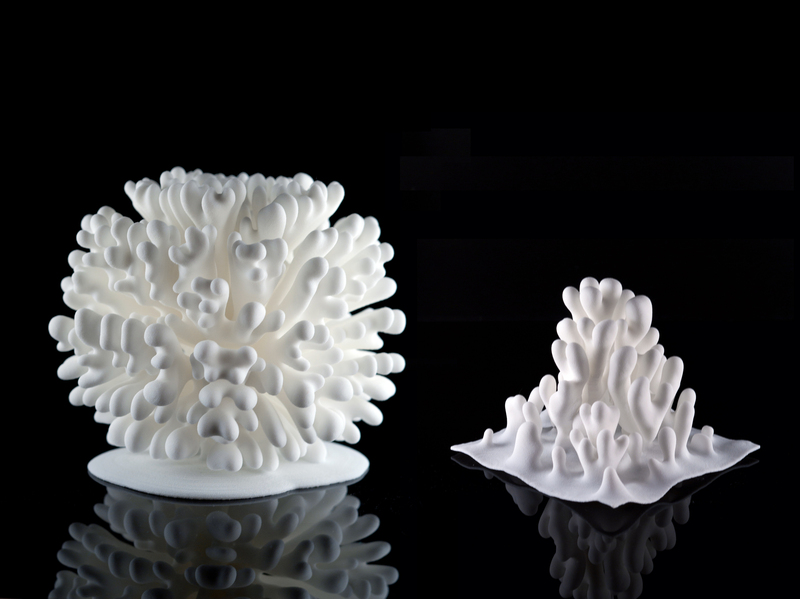 Laplacian Growth 1 and 2 This piece is an instance of growth using a model of 3D isotropic dendritic solidification. The form is grown in a simulation based on crystal solidification in a supercooled environment. This piece is part of a series exploring the concept of laplacian growth. Laplacian growth involves a structure which expands at a rate proportional to the gradient of a laplacian field. Under the right circumstances, this leads to instabilities causing intricate, fractal branching structure to emerge.